DAVID GREGORY: Isn’t part of the issue background checks? You have 40 percent of the sales that go on without any background checks, are you prepared to back broader background checks? 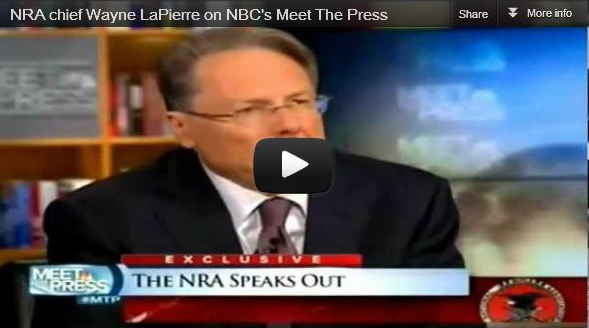 WAYNE LAPIERRE: We have backed the National Instant Check System, we have backed putting anyone adjudicated mentally incompetent into the system … we have supported prison building. We have supported Project Exile, where everytime you catch a criminal with a gun, a drug dealer with a gun, a violent felon with a gun, you prosecute them 100 percent of the time… we’ve supported the instant check system, we’ve supported getting these records into the instant check system. 2. 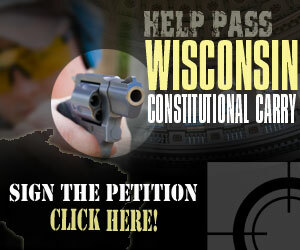 Join, Renew or Make a Donation to Wisconsin Gun Owners, Inc. (WGO). 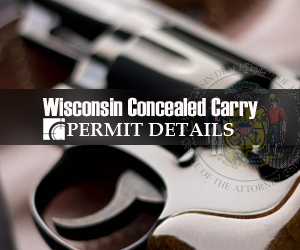 With the Second Amendment in grave danger following the chilling exploitation by gun control proponents of the tragic Newtown shooting, and the very real danger that the institutional gun lobby could sell out before the fight begins, your support of Wisconsin’s Only No-Compromise Gun Rights Organization is more critical now than ever before. Please consider chipping in $10, $25, $50 or more to this pro-gun fight. In the 2012 presidential election, 1.2 million Americans voted for Libertarian Candidate Gary Johnson, former two-term Governor of New Mexico. This was an all-time high! Here in Wisconsin, more than 62 thousand Wisconsinites voted for Libertarian Senatorial Candidate, Joe Kexel. To be honest, the Libertarian Party of Wisconsin (LPWI) has nowhere near 62 thousand members. So where did these votes come from? And should this tell us anything useful? “We, the members of the Libertarian Party, challenge the cult of the omnipotent state and defend the rights of the individual. Has the “War on Terrorism” had any detrimental affect on our Rights protected by the I, II, IV, V, VI and VIII Amendments to our Constitution under the Bill-of-Rights? With the exception of the only Constitutionally declared war – WWII, has the almost continuous warfare of the last century made our Republic any safer? Is the current deployment, of some of the finest Americans among us, around the globe, in harms way, in an attempt to alter the destructive and evil behavior of ancient un-civilizations working? Would any of these disasters have occurred under national Libertarian government? NOT!!! In so far as a nation-wide campaign for liberty-oriented-education and news is concerned, we just can’t have enough of it. The more the better! But in so far as liberty-oriented-political-action is concerned, we need a consolidated effort to defeat the old entrenched “you scratch my back, I’ll scratch yours” establishment. And that must be the only party whose unshakable principles will lead us to the smallest necessary Constitutional government with the maximum amount of personal responsibility and freedom. So if you find yourself among the “politically homeless:” please visit http://www.lp.org and http://www.lpwi.org and join The Few, The Happy Few, The Dedicated and Principled band of Libertarians. We can do it if we join forces and give it our best shot. There are good and bad things from both the NRA and Wisconsin Gun Owners. Neither one should point fingers at the other. You both see the issues slightly different and react accordingly. Leave them and other pro gunners alone. Tell the story from your side only. as of Jan 8th I have joined WGO for a 3 year membership.I think all gun owners need to get united in order to stand up to the antigun crowd.